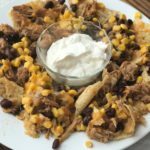 Pulled Pork Nachos piled high with corn, beans, cheese and sour cream are the perfect appetizer and party food. 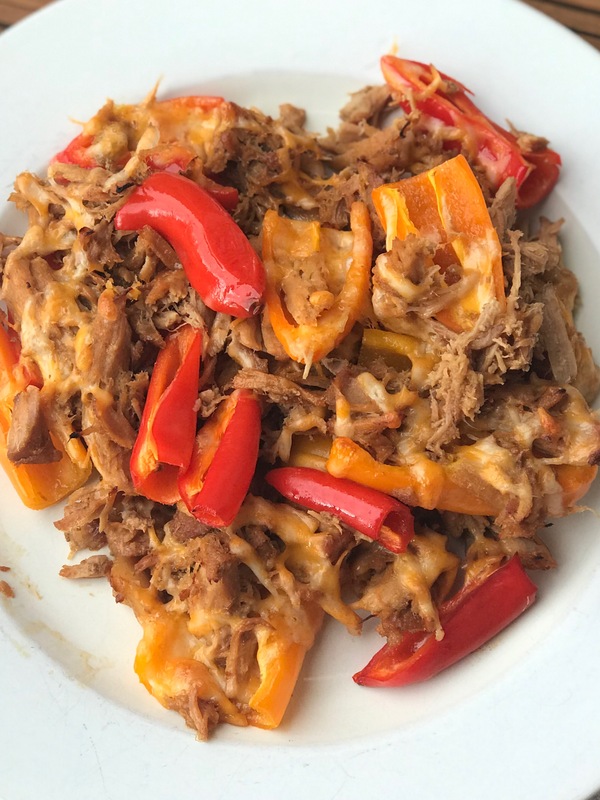 Serve them on chips, or for a lower carb version, serve them over roasted bell peppers. Some of my favorite meals are ones that can be prepared once, but served multiple ways to please everyone in the family. 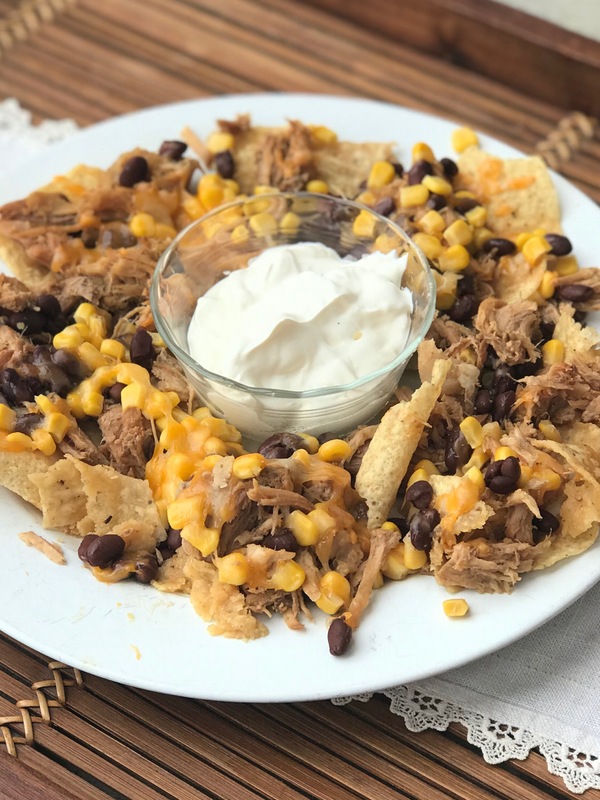 These nachos are a perfect example. I serve them traditionally, over chips, for my family, but for me, I love them over roasted bell peppers and topped with cheese! So delicious, satisfying and full of flavor, I don’t even miss the chips! 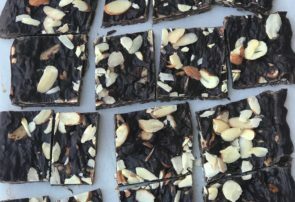 These start out in my favorite kitchen gadget, the crockpot! 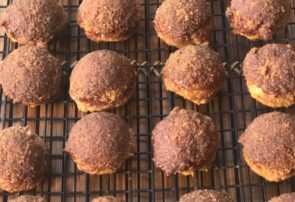 I’ve made them with both a frozen pork loin and a thawed pork loin and both worked great, so whichever you have, go with it! In your crockpot, add your pork loin. Add in chicken broth, coconut aminos, garlic clove (I use the pre crushed, frozen packs, so much easier!) and honey. For a frozen pork loin, cook on low for 8 hours. If you are using a thawed pork loin, cook on low for 6 hours. 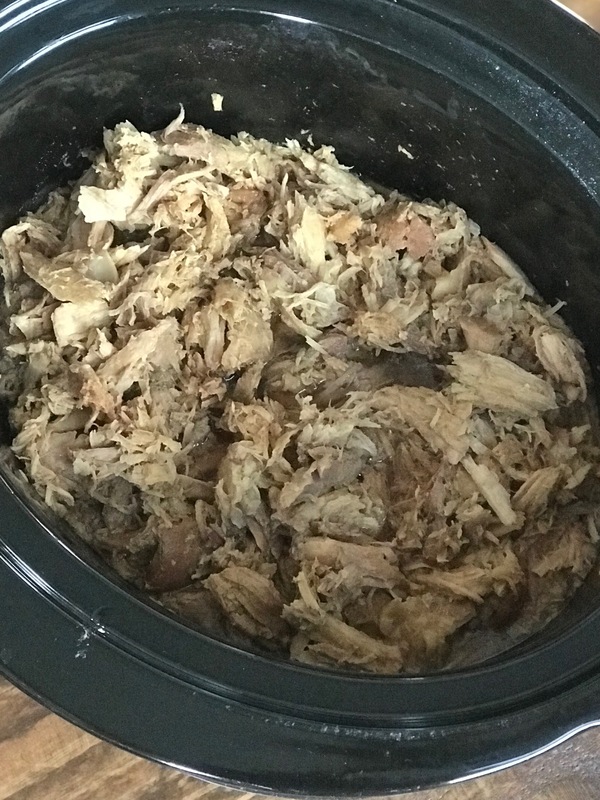 Once cooked to an internal temperature of 145 degrees, shred pork. Place in oven under the broiler and broil until cheese is melted (should only take a few minutes). For bell pepper nachos, line a baking sheet with aluminum foil and place halved baby bell peppers on baking sheet. 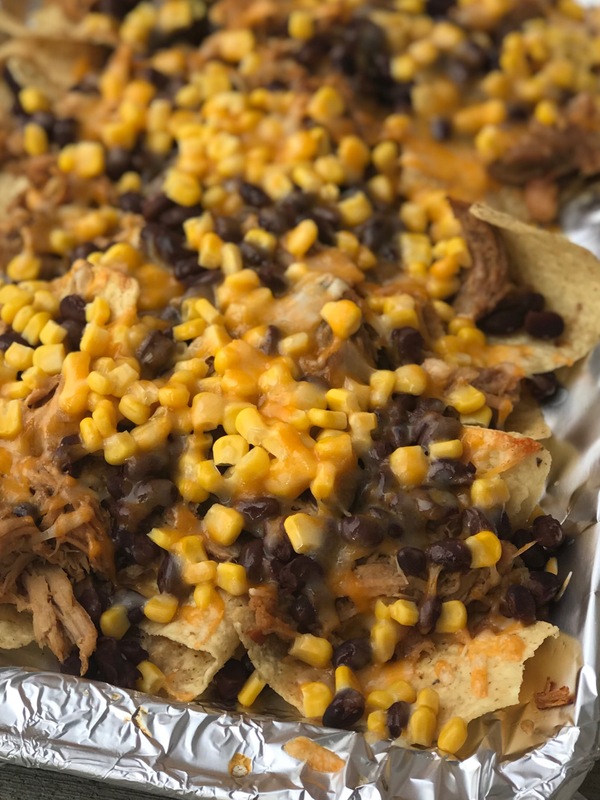 Top with pulled pork and cheese (and beans and corn if you’d like) and bake in the oven at 350 degrees for about 20 minutes. 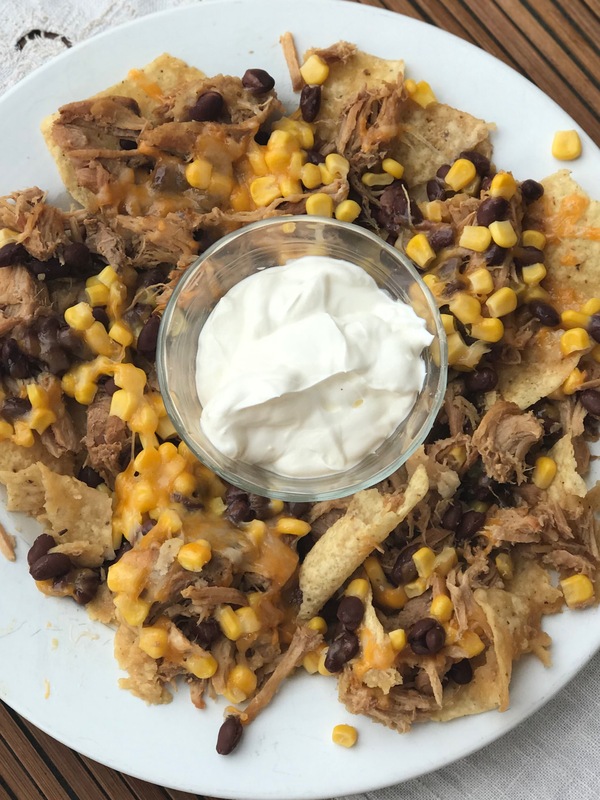 Serve both with your dipping sauce of choice (sour cream, guacamole, salsa, ranch) and enjoy! 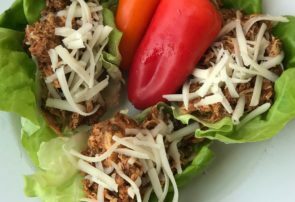 This pork is also fantastic served in a lettuce wrap, over roasted sweet potatoes, mashed potatoes or cauliflower fried rice! 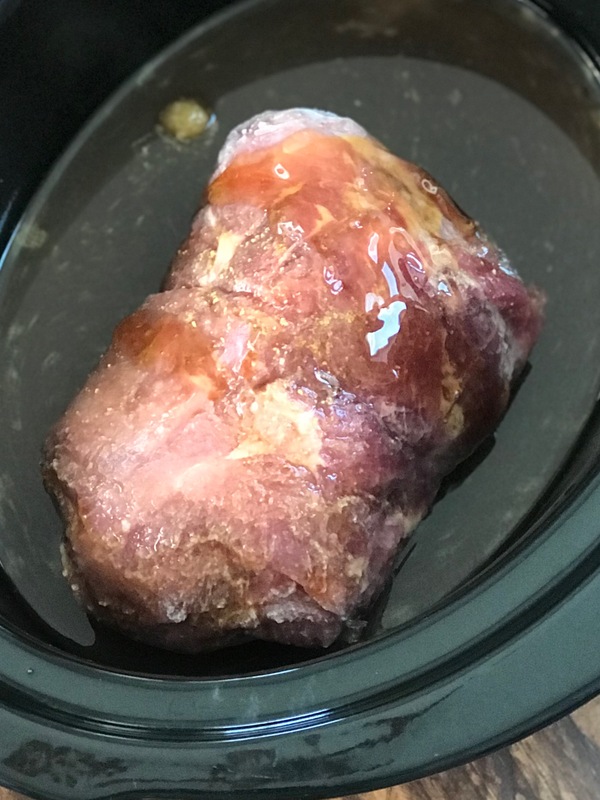 Place pork loin in crockpot. Cover in chicken broth, coconut aminos, garlic and honey. Cook frozen pork loin on low for 8 hours and thawed pork loin on low for 6 hours. When pork reaches an internal temperature of 145 degrees, shred pork. 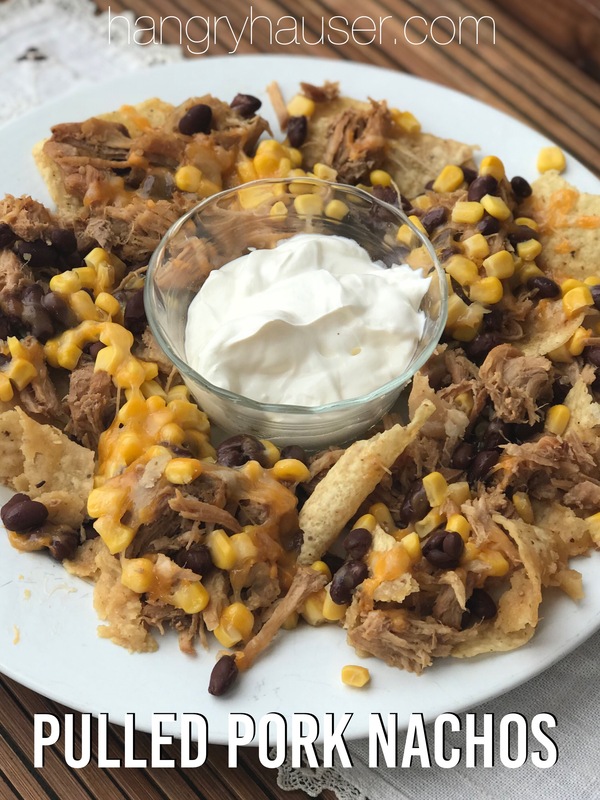 To make traditional nachos, cover baking sheet in aluminum foil and layer tortilla chips, pork, corn, beans and cheese. Place sheet in oven and broil till cheese is melted. 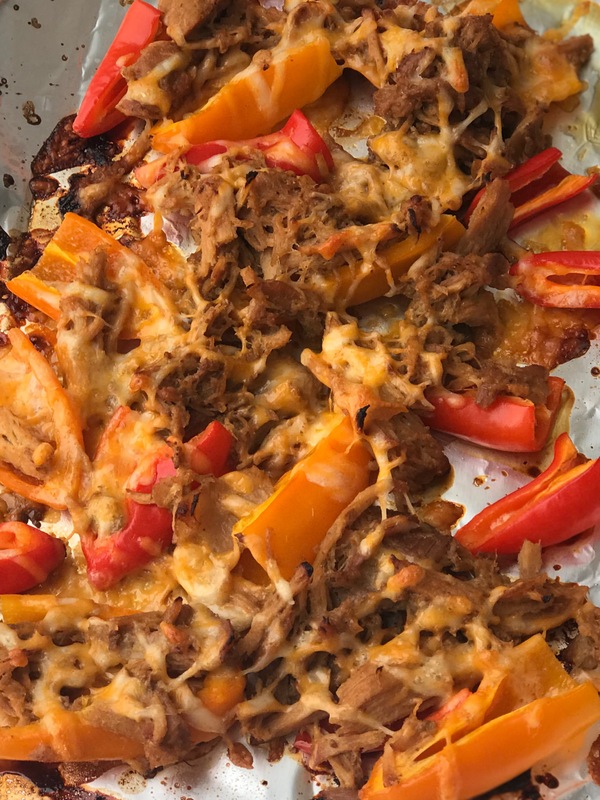 To make bell pepper nachos, cover baking sheet in aluminum foil and place halved baby bell peppers on sheet. Cover in pulled pork and cheese (and any other topping you like) and bake at 350 degrees for 20 minutes.